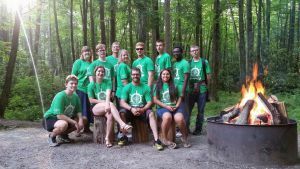 Twelve members of Pensacola State College’s Outdoor Club experienced the adventure of a lifetime June 4 -9 during a leadership and skill-building primitive camping trip to North Carolina. The students, who were all relative strangers before the outing, worked together to set up campsites, climb mountains, hike trails, identify foliage and natural formations, explore old homesteads and navigate whitewater rafting on Standing Indian Mountain in the Nantahala National Forest. “The object is to put them in a different situation that requires a skill they may have to learn on the spot with people they don’t know, so they have to bond. 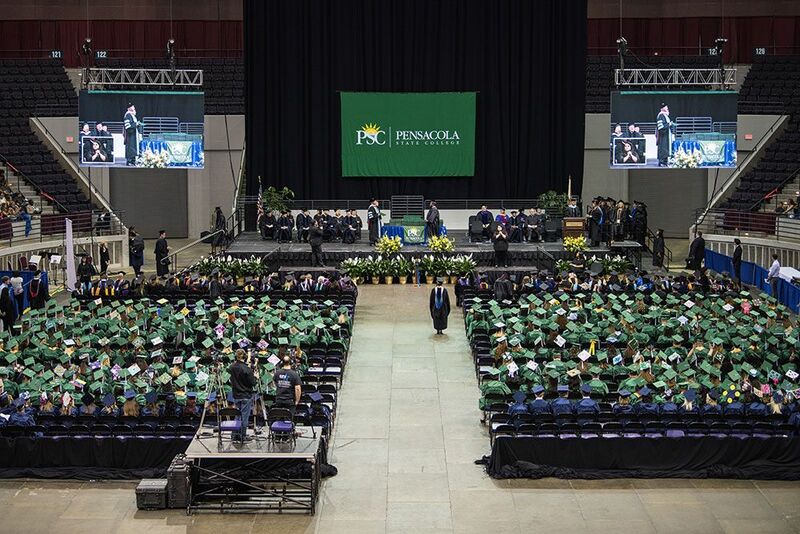 They have to work together,” said Anthea Amos, dean of Pensacola State’s Milton campus and a club adviser for the past 16 years. Students Crae Andrew, Zachary Bixby, Kaleal Church, Andrew Cross, Christian Feliberty, Madelyn Godwin, Austin Jordan, Kyle Mueller and Miranda Vidak were accompanied by Amos, along with math instructor Pete Falzone and Debra Bigelow-Jordan, a student services representative. “It pushes them to limits … they walk farther, they climb higher, they’re doing things they would normally not opt to do ─ but it is what we have to do because we can’t leave anyone behind,” Amos said. The Outdoor Club was originally founded more than 30 years ago by retired faculty member Conrad Brewer and current associate biology professor Logan Fink as an avenue to inspire stewardship and community service by way of leadership, skill-building and volunteering. Fink, who still serves as a club adviser along with Bigelow-Jordan, then expanded this to include camping. Church, who is studying health management and nursing, said he didn’t consider himself as someone who would “do woods” but admitted taking the camping trip helped him to become more outgoing and pushed him to new heights. “Like jumping off cliffs into rapids. I held my best friend’s hand and we jumped together. We were closer after that,” Church said. Godwin said she loves the outdoors and has had experience working on her grandparents’ farm in Jay. She found this trip helped her strengthen the bonds with people that she’d only known in passing. Next year, Godwin will be attending the University of Florida at Pensacola State College through the 2 + 2 program, which offers UF Bachelor of Science degree programs in natural resource conservation and plant science on the Milton campus. “It was incredible!” Godwin said. “I can start a fire,” Church added proudly. He volunteered to rekindle the fire at 5 a.m. every day, before the other campers were up. “The owls scared me the most … they sounded like coyotes!” Church said.